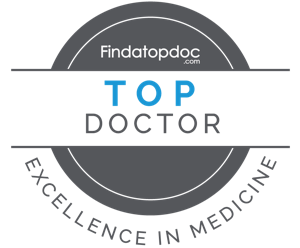 A board certified thoracic surgeon who specializes in robotic thoracic surgery and thoracic oncology, Dr. Kanaan currently works out of several hospitals throughout Orange County, CA, including Saddleback Memorial Hospital, Orange Coast Memorial Hospital, Mission Medical Center, and Hoag Newport/Irvine Medical Center. He also serves on various committees at each of them, such as the robotic surgery committee, the cancer committee, and the thoracic committee, and serves as a cancer liaison officer. Specializing in the prevention, early diagnosis, and treatment of diseases of the chest, with a focus on lung and esophageal cancer, Dr. Kanaan uses minimally-invasive procedures that include video-assisted thoracic surgery, robotic-assistant technology, and state-of-the-art techniques and cancer therapies. Dr. Kanaan previously worked as an associate surgeon at Brigham and Women’s Hospital in the division of thoracic surgery from 2007 to 2008, as well as an attending staff member for various other hospitals. Furthermore, he spent time as an assistant professor of surgery at Homer Stryker School of Medicine at Western Michigan University. Active as a member of numerous organizations, including the American College of Surgeons, the American Medical Association, the American College of Chest Physicians, the California Thoracic Society, and the Society of Thoracic Surgeons, Dr. Kanaan continues to participate in presentations throughout the country on various topics of research. He has contributed chapters to five books, including “Medical Management of the Thoracic Surgery Patient” in 2009 and “Acute and Chronic Mediastinal Infections” in 2004, and he has written several abstracts and more than 20 manuscripts/case reports. Dr. Kanaan completed his undergraduate work at Northwestern University, where he received a Bachelor of Arts in Physics. He then earned an MD at Northwestern University School of Medicine before completing his residency in general surgery at the Northwestern University McGraw Medical Center. Afterwards, Dr. Kanaan acquired a fellowship in cardiothoracic surgery at the University of Southern California. Named to several editions of Who’s Who in America, Dr. Kanaan has also received a number of awards throughout his career, including an Obstetrics and Gynecology Beatrice Tucker Award in 1996, a Best Teaching Resident by the Department of Surgery in 1998 and 2000, and a Values Action Excellence Award by St. Joseph’s Health System from 2010 to 2012. He was also a 2013 finalist for the Jackson and Coker National Physician of the Year Award and was a 2004 nominee for a Susan Pearlman Award. Married to Lina R. Ghosheh since 2003, Dr. Kanaan has four children. In recognition of outstanding contributions to his profession and the Marquis Who’s Who community, Dr. Kanaan has been featured on the Marquis Who’s Who Lifetime Achievers website. Please visit www.ltachievers.com for more information about this honor. Since 1899, when A. N. Marquis printed the First Edition of Who’s Who in America®, Marquis Who’s Who® has chronicled the lives of the most accomplihed individuals and innovators from every significant field of endeavor, including politics, business, medicine, law, education, art, religion and entertainment. Today, Who’s Who in America® remains an essential biographical source for thousands of researchiss, journalists, librarians and executive search firms around the world. Marquis® publications may be visited at the official Marquis Who’s Who® website at www.marquiswhoswho.com.